Director and co-founder, Anya Martin, with design and production by Artistic Producer and co-founder, Michelle Carello, and features an ensemble cast including Eric Anderson, Laura Lee Brautigam, Gab Cody, Claudia Duran, Monteze Freeland, Katie Mo Groff, Chris Josephs, Kelly Marie McKenna, Ricardo Roger-Vila, Dennis Schebetta, Thalia Snyder, and Sam Turich. Hiawatha Project was founded in 2010 by Carnegie Mellon University-based theater artists Anya Martin and Michelle Carello. Camino represents not only the first production by the organization, but a blueprint for the work it will create moving forward: performances that use a variety of media and theatrical methods to express true stories connecting divergent communities. In the case of Camino, the story is that of two real-life young Latino immigrants to Pittsburgh whose lives were torn asunder by the labyrinthine world of America’s for-profit immigrant deportation system. Camino is entering into its heaviest stage of development, as the casting is completed and the collaborative work between directors, producers, designers and actors begins. Please contact Hiawatha Project about opportunities to cover and document this exciting and unique process—and mark your calendars for the preview Thursday, September 15! 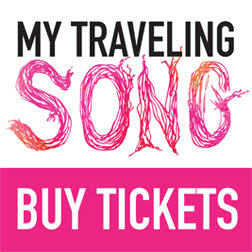 Tickets are on sale now at http://www.hiawathaproject.org! Two men missing. Two women risking everything to find them. And a lost flock of migrating birds just trying to make it home. Their paths collide in surprising, desperate, and hilarious ways as they navigate an imagined near future permeated by GPS maps, outrageous red tape, and preconceived borders of race and belief. A poetic exploration of the consequences of laws such as Arizona SB 1070, Camino exposes the profitable business of private immigrant detention centers in the U.S. In doing so, it illuminates questions of survival and connectedness in our increasingly digitized world. 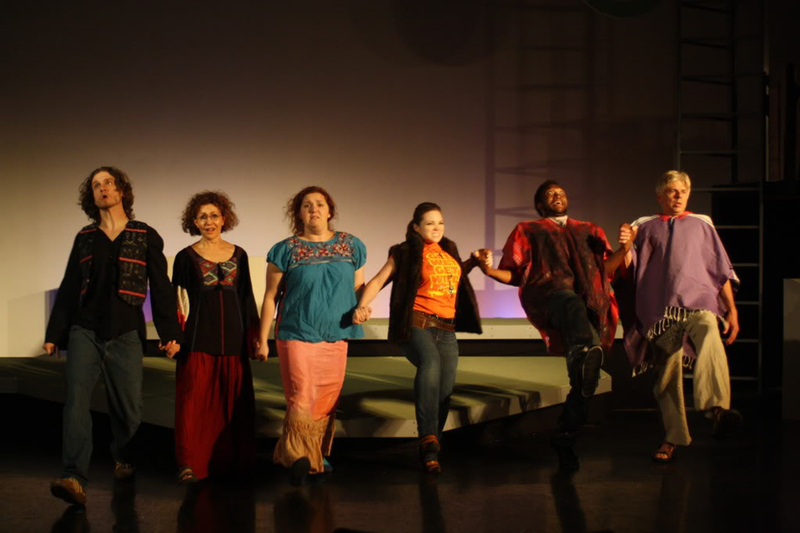 Camino’s origins go back to 2009, when Martin and Carello created a theater piece starring young Latino Pittsburghers titled Teatro Latino de Pittsburgh. As Teatro debuted, one of its stars—exuberant High School senior Milton Mejia—was taken into custody by police and threatened with deportation. His harrowing months spent in a series of corporate-operated for-profit immigrant detention centers, and the ceaseless efforts to track and help him by his young girlfriend Stephany McMullen (now Mejia), herself an immigrant from Venezuela, provided the inspiration for Camino. Stephany Mejia now serves on the advisory board for Hiawatha Project as it endeavors to tell what is, in part, her story. Her husband Milton lives in Honduras and works constantly towards gaining the right to return to the US legally. Although established as an organization in 2010, Hiawatha Project’s conceptual beginnings go back to 2009 when Anya Martin and Michelle Carello began work on Camino after Mejia’s confinement. But since forming as an organization last year, Hiawatha Project has seen its concept grow out of the desire to tell one story, and blossom into an entire artistic process. Hiawatha Project’s work has been featured on the front pages of both Pittsburgh City Paper and Pittsburgh Post-Gazette for Camino’s unique two-year development process that has included extensive workshops with Latino community members and professional Pittsburgh artists. The group has worked closely with the relatively new organization Jovenes sin Nombres—an art-based collective of Latino youths in Pittsburgh. Hiawatha Project co-founder Anya Martin was recently a Creative Capital/Flight School fellow through Pittsburgh Center for the Arts, and is currently the Center for the Arts in Society’s Artist in Residence at CMU, where both she and co-founder Michelle Carello are graduates from the School of Drama. The two have worked in theater arts in New York City, Philadelphia, Washington, D.C., and New Orleans, besides extensive work in Pittsburgh.